The Acer Liquid E3 is one of two phones the company showed at the MWC – this up and coming gadget certainly has a few interesting tricks up its sleeve. The Acer Liquid E3 feels pleasantly thin and the build quality impressed us. But let’s start with the basics. The E3 has a 4.7″ IPS LCD screen with 720p resolution, which gives it a pixel density of 312ppi, the norm for this segment. What the raw specs don’t tell is just how good the image quality of the screen is. Going around the back we see the main camera – a 13MP shooter – with its LED flash. Below it is a button that can be long pressed to launch the camera and then tapped again to take a photo (another feature to make selfies easier). A short press on the button outside the camera can be programmed to launch any app. The Acer Liquid E3 is powered by a quad-core chipset (CPU at 1.2GHz) with 1GB of RAM. While it runs a relatively old Android 4.2.2 Jelly Bean, the interface moves surprisingly fast. 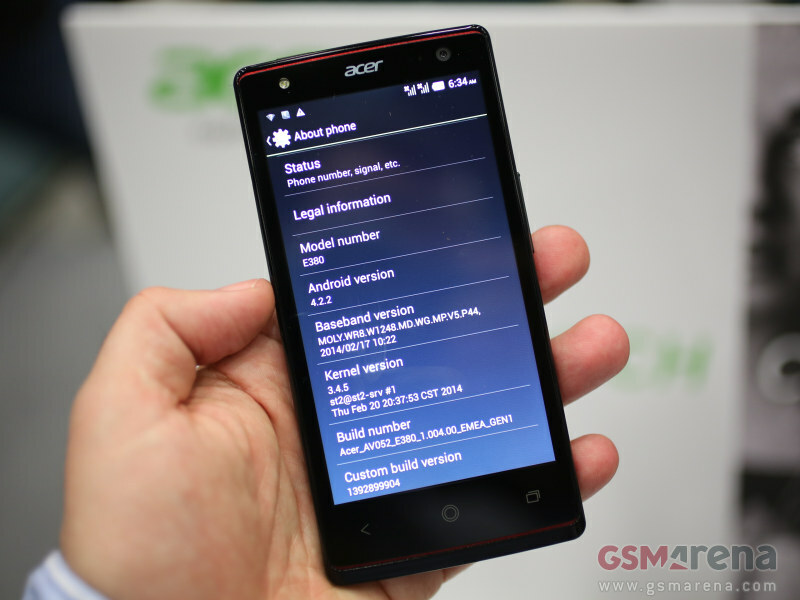 Acer has promised a 4.4 KitKat update for the first half of this year. The phone has 4GB of built-in storage, but there’s a microSD card slot. On the other side of the phone are two microSIM card slots – the E3 we handled is a dual-SIM device. There will be a single-SIM version too. The Acer Liquid E3 will carry a €200 price tag when it launches in April.